Whether you are looking for trade show giveaways, gifts for client appreciation, employee milestones or off-site events, let Build-A-Bear help! Our furry friends can be customized to your needs with themed clothing, accessories and even your logo. Or consider hosting an off-site event for fun or charity. We offer a dedicated account manager and exclusive designs to service your corporate needs — large and small — and an interactive experience that everyone will remember! We will guide the creation of a furry friend just for your company or organization. It can be a plush version of your mascot or a furry friend curated from our online product assortment that is customized with your company logo. For added personalization, we can create tailor-made clothing and accessories including logo’d hoodies or custom tees. The possibilities are endless! Add a custom Tiny Tee to any furry friend. It’s simple! Just supply your artwork. * You can order as few as 144 custom tees or as many as you want for your program. Please allow 5-6 weeks for development and production. Associates from local Build-A-Bear Workshop stores can also attend your event to deliver a personalized brand experience and tailor the event to your company’s needs and purpose. L’il cubs, which are available in three colors, are a popular choice for off-site parties. Add a custom tiny tee to promote your event or company. Interested? 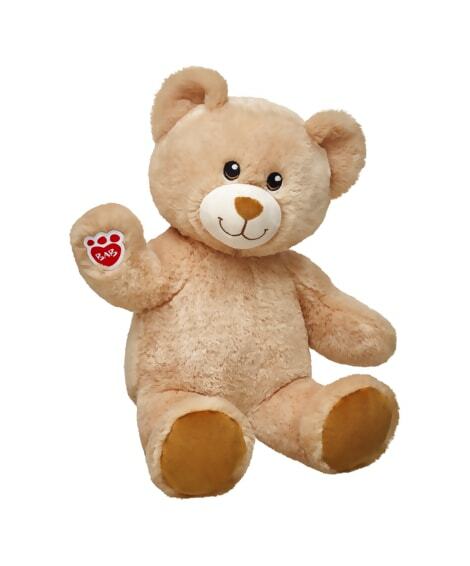 Please contact Corporatesales@buildabear.com at least four weeks before your event. Build-A-Bear will provide a dedicated account manager, organize our staff, and oversee the production of tiny tees to ensure your event is a great success! Give the gift of FUN with a Build-A-Bear Workshop gift card! If you’re looking for the perfect gift for client appreciation or corporate events, a Build-A-Bear Workshop gift card is a memorable way to give a gift they’ll remember! Gift cards are available in increments ranging from $5 to $500. Plus, you’ll enjoy exclusive savings if you order Build-A-Bear Workshop gift cards in bulk. Email us at babw@stonerbunting.com or call 877-309-5664 ext. 3413 for ordering information and to learn more about corporate discounts.